We want to highlight one of our newest signings – Thomas Barrell. We sat down with him to discuss what his sporting background is, how he found out about Soccer Assist and the main reason why he has chosen the scholarship route. 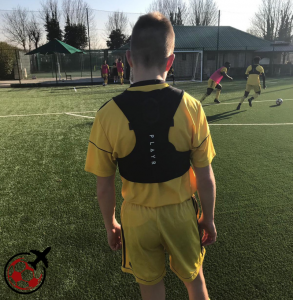 Thomas tells us that he started playing football from a very young age and that he played his first season at Raynes Park Vale Youth. He goes on to say that he has played for Corinthian Casuals, Sutton United and for the Pro Direct Elite Academy. 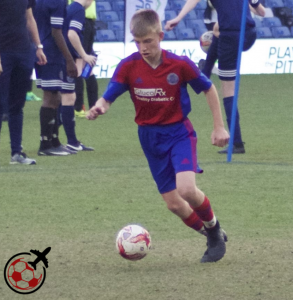 He has most recently played for Aldershot Town FC’s Academy. Thomas would say that being made the permanent squad Captain at his most recent club is his greatest footballing achievement to date and that he is very excited for the opportunity to play soccer in the U.S. in the future. 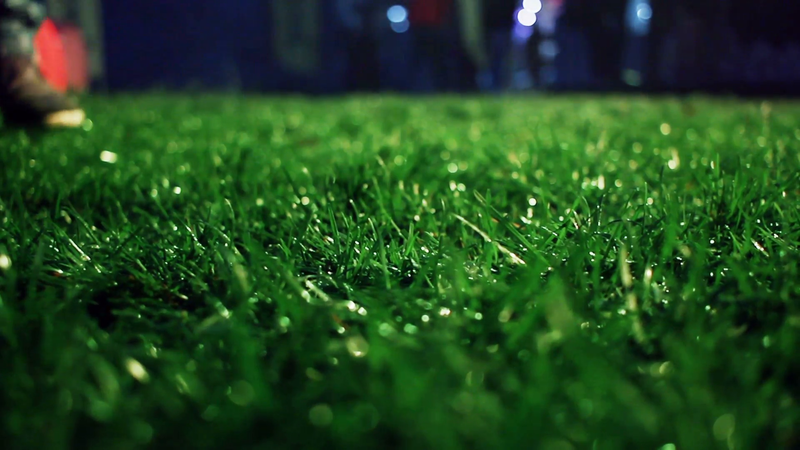 Thomas initially found out about Soccer Assist through viewing our professionally-made content on our Instagram page, followed by visiting our home page. From that point on, Thomas knew that the best way to get a scholarship to play soccer in the U.S. was through Soccer Assist. He said that the main reason why he chose the scholarship route is because “having a good education is very important” and he wants to test himself, “meet new people, have new experiences and be able to develop and progress in a place where sport is very important”. We agree with Thomas – the chance to be a student-athlete in the U.S. is an opportunity you can’t pass up! Our newest client has found the Soccer Assist process really helpful as “Tyrelle has been a really good source of information and (has) answered all my questions” and he would recommend Soccer Assist to future college soccer prospects. 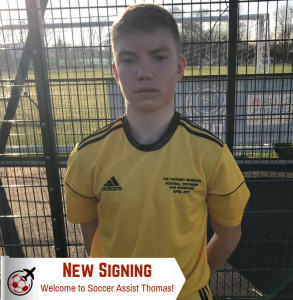 Thomas has been a pleasure to work with so far and we will do our best to help him through the scholarship process so that he can achieve his dream of becoming a professional football player.